I know this is a long shot, but Google turned up nothing, so here goes. 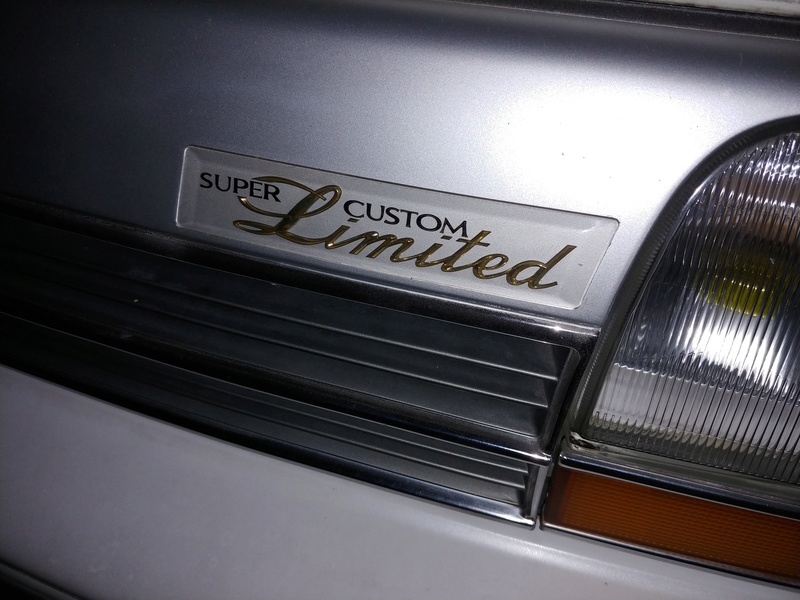 Anyone with a 2wd/4wd Super Custom Limited ever replaced the 'Super Custom Limited' emblem in the grille? It's the rectangular plastic emblem set into the grille on the right side of the grille when looking at the front of the vehicle. First pic is what the emblem looks like, and second pic I found online showing the inset area of the grille where it is mounted. Not sure how it was removed, but looks like they didn't do a great job. It almost looks like it was adhered via a silver glue/paint, since the emblem is clear plastic around its perimeter and only has silver behind the lettering. I was thinking about using a hair dryer/heat gun to try and loosen whatever is adhering the emblem to my grille, but wanted to see if anyone had another suggestion. Thanks! Wanted to post an update for informational purposes. After receiving the new emblem I took it down to my body shop and we popped off a corner of the emblem on my van and it looks like some type of adhesive transfer tape was used to affix the original emblem to the grille. We deduced that the paint missing around the border of the new emblem is due to it remaining adhered to the transfer tape when the emblem was taken off the other van's grille. 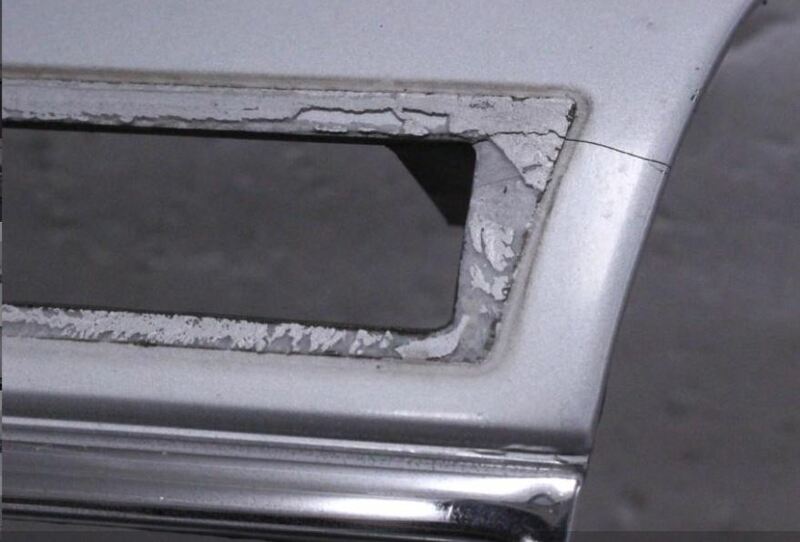 This lines up with the silver paint being left behind in the prior post's photo of a grille I found online. Once we've identified an approximate match on the paint color, the plan is to pop off the old emblem with a heat gun and a putty knife, take some 1000 grit sandpaper and remove the silver paint from the back of the new emblem, respray the back with the new paint, then affix the emblem to the grille with new transfer tape. Here's a photo of the current emblem on my van, I'll post a few more pics when the work gets done. I took mine off a while back as all the gold and silver paint of the lettering was faded and cracked. I did a great job tarting it up, but when I glued it back in place the glue I used reacted weirdly with the paint on the emblem so it ended up looking cr*ppy. I totally should has used transfer tape! Rats! Sorry to hear that, I was actually considering gluing it before deciding to have the shop to do the job. They had to order more transfer tape, but they went ahead and got the emblem prepped. Excited to see it once it's on the grille! Damn that looks good. That'll make the front look smashing. The shop finally got the transfer tape in and R&R'd the emblem. 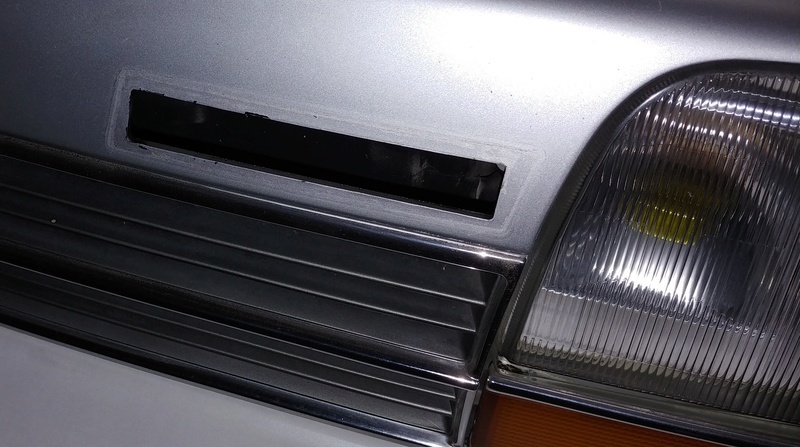 Turns out the emblem is not set in a recess in the grille, that was just a dirt shadow in the photo I found online. Finished product looks great and they wouldn't charge me for the work, said it was fun for them! Hey, where did you get the new one? I'm in the US too and am looking for a replacement as mine is super cracked. I bought mine off of the Buyee website, which is a proxy buying service that allows people living outside of Japan to purchase items from the Japanese Yahoo! auctions site. The item is shipped to Buyee's warehouse, then they inspect it and ship it on to you. They have options for insurance, package consolidation, repackaging for safe transit, etc. 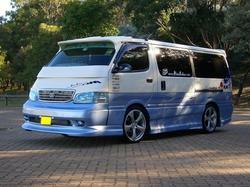 I think I just scrolled through all the listings until I found one. You may have to check back periodically before one shows up. Good luck! » How do you remove the statistics on the front page?